New Zealand student Dale Logan, from Auckland, will sit her final examination in March. She will be the first of the students from across the ditch to reach this important milestone. Dale has great plans to establish herself as an equine herbal practitioner and has been busy preparing hands on assessments of a variety of horses in the lead up to her exam. Dale comments “I have a background in animal nutrition, and the more I studied the further my belief in the power of herbal medicine was strengthened. Victoria’s case studies and book, combined with the learning and investigation for each study module provided me with more evidence and proof, that if we feed naturally & preventatively, so many of the health issues horses now face, such as metabolic problems and bad feet would be prevented. As I began to share this knowledge and persuade horse friends to feed differently I saw the results for myself – the more natural and better we feed, the greater and faster the results and improvements can be seen with the use of herbal medicine. In June, 8 students from around Australia will sit their final examinations, to be held at Richmond TAFE in NSW. They are Karen Craft , Skye Berry, Deb Ware & Mickie Magan all from NSW, Nicola Crawford & Karyn Campbell from Vic, Debbie Way from SA and Erin O’Brien from Qld. 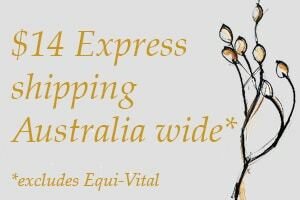 This will be the culmination of two years of study for these dedicated and talented women, who all have special skills and experience to bring to their equine herbal businesses in the future. There are another 12 students across Australia working their way towards this goal and Victoria is looking forward to welcoming more new students throughout the year. Victoria Ferguson is an approved training provider with the International Institute of Complementary Therapists, which allows graduates from the School of Equine Herbal Medicine to join that organisation and to obtain professional indemnity and product liability insurance. 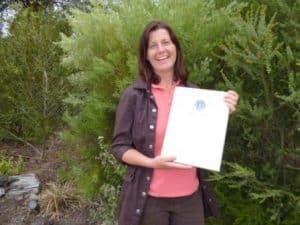 The first graduate from the School of Equine Herbal Medicine, Lisa Hailes, provides services to horse owners on the Mornington Peninsula near Melbourne. Lisa is also a qualified human herbalist, and an equine iridologist and animal homeopath.